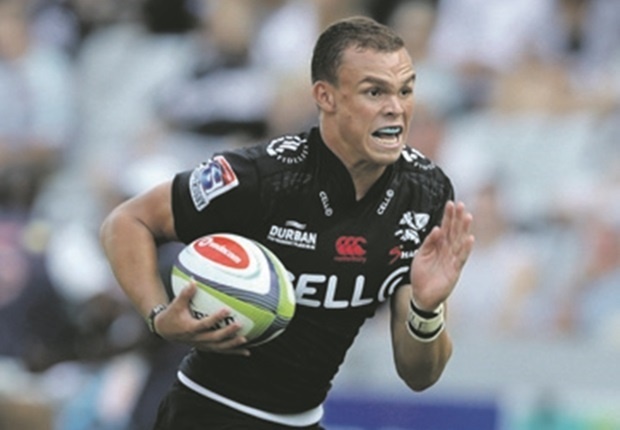 Cape Town - The Sharks, after another loss to South African opposition in 2019, might consider a change at flyhalf ahead of this weekend's trip to Johannesburg to take on the Lions. Saturday's 19-16 loss to the Bulls in Durban on Saturday made it 0 out of 3 against South African opposition in this year's tournament. In what was one of the most physically brutal matches of the year so far, the Sharks lost their way with ball in hand and were unable to finish off opportunities despite dominating large periods of the game. The real difference, though, came off the kicking tee where Handre Pollard slotted all four of his efforts at goal while Sharks flyhalf Robert du Preez jnr could only land two from five. Du Preez jnr was also at fault when he slipped a tackle that would result in Jesse Kriel's crucial try for the Bulls. With Du Preez jnr having been backed in the No 10 jersey all season so far, Durban media were quick to ask his father and coach Robert du Preez about Bosch taking the reins in the pivotal flyhalf position. "We'll be making rotation changes as we go forward, so we'll see," Du Preez said. "We'll look at the game and make a call on the team that will travel to Johannesburg." Coach Du Preez added that he had thought about taking the kicking duties away from the struggling Du Preez jnr after Bosch had come onto the field. "It did go through my mind ... but Rob has been kicking well the whole season," said Du Preez. "It was a difficult one." Saturday's result means that the Sharks are third in the South African Conference, one point behind the Bulls and two behind the Lions.